The stadium was football playground with another sports, however about 4 years and 8 months of Years and about 4,000 billion won of the enormous cost was spent March 21, 2014, "Dongdaemun was finally born into the Design Plaza (DDP)". 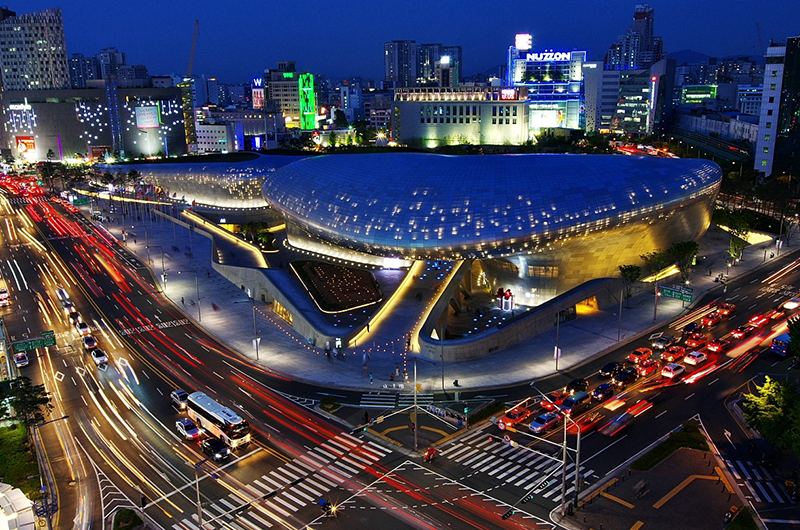 With "Dongdaemun History and Culture Park" in 2009 opened in the adjacent prior, is a new landmark in Seoul. Facing the main street, at each entrance of the ground and underground, etc. leads to the Dongdaemun area, overall and open structure. Especially directly linked to subway 2, 4, 5 Route Dongdaemun History and Culture Park Station and all the facilities "Oulu Lim Square" has been open for 24 hours according to the fashion town Dongdaemun each commercial facilities that never sleeps, and regardless of the day and night It is crowded with many people. Learning and experience space to feed the imagination of the future through the design. The Museum held a special exhibition, adults and children in the Imagination Zone will enjoy a mysterious design experience together. In addition, the basement floor are connected with design market. Design related books freely viewable library, creation and to lead the trend designer gallery shop, sales and exhibition space of traditional crafts such as the Arts and Crafts and up-cycle products, Dongdaemun fashion studio, Kids book cafe, S. M. It is aligned and entertainment of goods shop "SM Stadium". Underground mall area where you can enjoy from gourmet to fashion. Cute, such as "Lucycato" popular in South Korea women with cake, you lined 10 stores or more of restaurants and cafes. In addition, fashion shops and household goods stores, has been South Korea cosmetics shop also visiting such as "Innisfree". It can be shopping or take a break, of course, it is convenient to move in the Dongdaemun area because it extends to the lower part of the main street. Even more than the design of Art, the most unusual of the open machine of Dongdaemun Design Plaza, the town whole atmosphere and the sense of distance. The young generation of liquidity populous regardless of the day and night, of course, the night is refined by being brightly lit up, including Dongdaemun History and Culture Park, accessibility of the area between that did not wipe the sense of distance across the main street is It has risen. 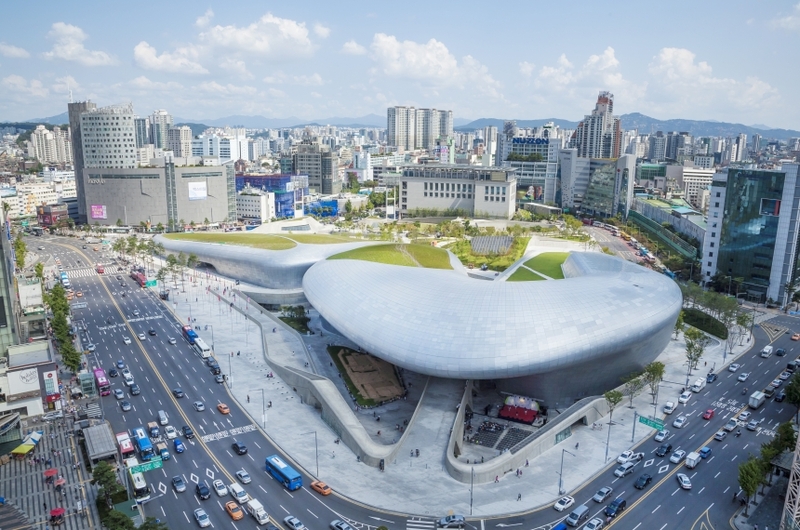 Both in name and reality of the Dongdaemun Design Plaza that has emerged as the center of the area, it is expected in the future History.